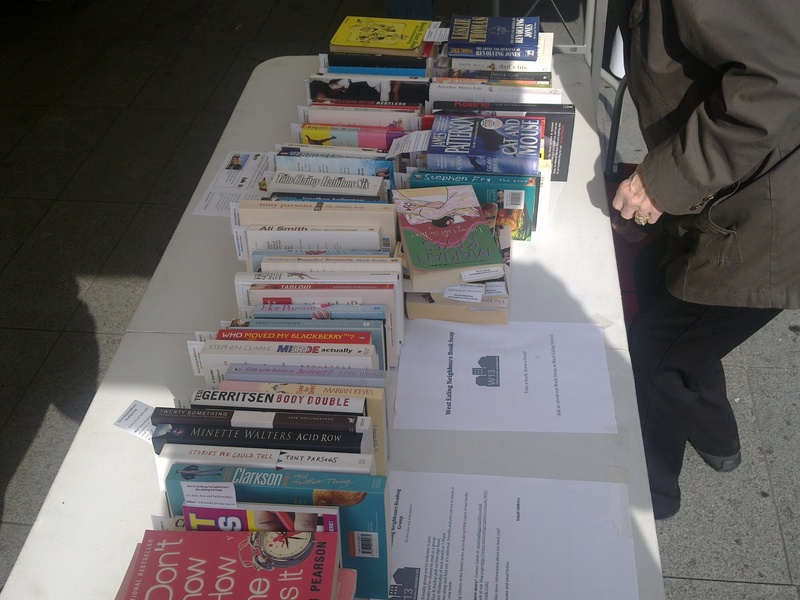 On Saturday, we went along to the all-day book swap, hosted by West Ealing neighbours hosted as part of the West Ealing Family Day. We started the day with over 90 books, generously donated by locals, and gave away more than half! Encouraging people to take books for free, and then drop one off later at West Ealing Station. Helping someone with home-DIY problems with a book on basic plumbing. Handing out lots of kids books – especially some that would be helpful with school. Seeing people who had taken books earlier bring a whole bunch back to swap. 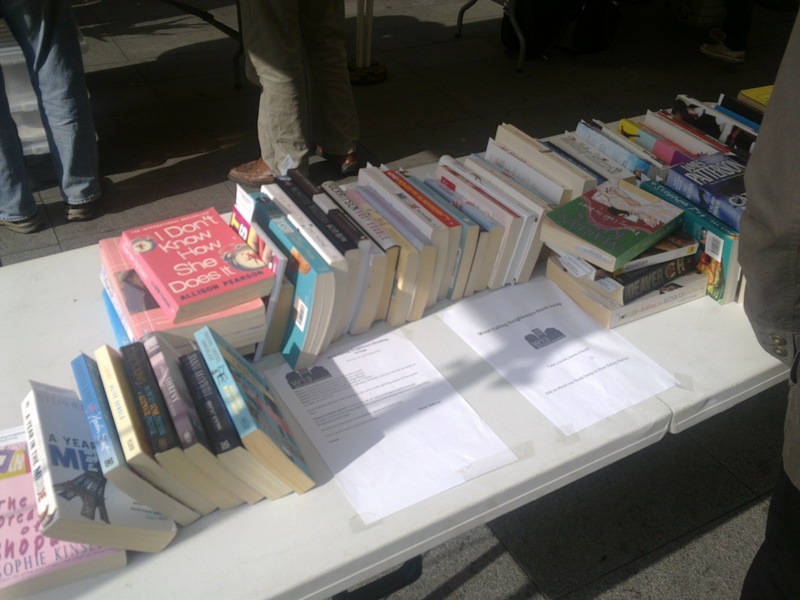 People in West London are very keen on book swapping – we will be planning more events in the area to keep up the interest! « Come and book swap with us at West Ealing family day on Saturday!